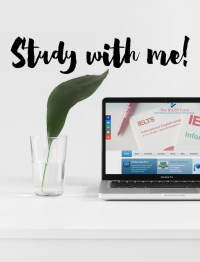 I have just uploaded a new lesson in the IELTS video series. This episode is on using collocations in IELTS Writing and Speaking as well as recognising them when you listen to an IELTS recording or read an IELTS text. I hope you will find it useful. Until next time! Read more "IELTS Video Series – Collocations"
Good luck to my IELTS students! Read more "Good luck to my IELTS students!" Are you making these mistakes in IELTS Speaking? Read more "Are you making these mistakes in IELTS Speaking?" Read more "Using conditionals in IELTS Speaking"
Read more "Talking about the future in IELTS Writing and Speaking"
Read more "Describe your feelings in IELTS Speaking"
Read more "Describing personality in IELTS Speaking Part 2"
Read more "Sentence completion in IELTS Reading"
Read more "Improve your IELTS Writing with this FREE tool!"